First of all, I have always been in favor of the government providing a way for its citizens to have universal health care. But I still have some questions as to how a single payer health system would work and how we can convince conservatives that this is the right approach for us. A friend of mine works as a caregiver for elderly people. She is good at this job, and it is an important for the seniors to have someone care of them. They need the care and they are grateful for what she does for them. She also likes this job and values the relationships she makes. Last year she was allowed to keep her Medi-Cal when she was hired at this job. Since her employer was paying her $11 per hour, she was grateful that she was able to keep her Medi-Cal. She did not have to pay anything towards her prescription medications or towards her other medical bills. The following year my friend needed to accept her employer’s health insurance plan in order to be in compliance with the Affordable Care Act. Her employer spent a great deal of money for her health insurance. However, this also means that, while still earning only $11 an hour, she will still pay $130 each month towards her employer’s health insurance. This plan also requires her to pay for deductibles towards her medication, which are unfortunately expensive, and her other medical bills. In order to make up the difference in what is being taken out of her paycheck, my friend needs to work six days a week. This means less time with her child and a little more stress in her life. 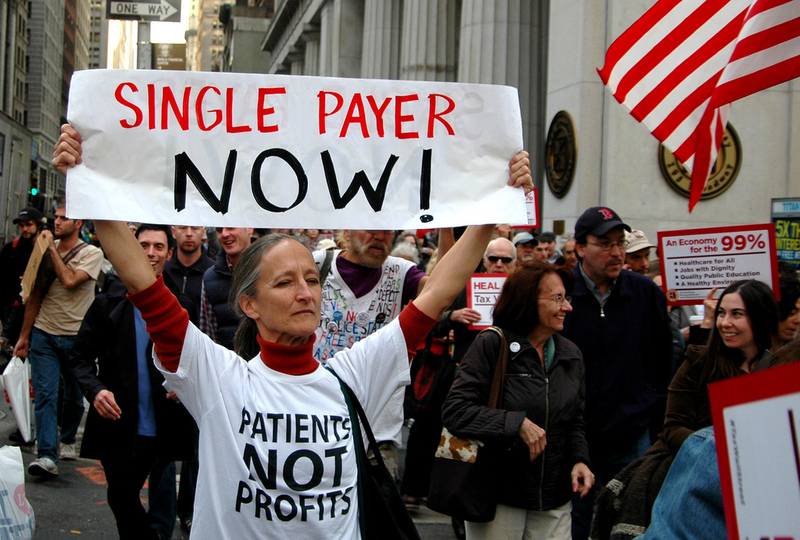 My question is this: if the United States had a single payer health system, would businesses save money by not having to pay for an expensive health insurance plan? And would their employees be in a better position to demand and receive a living wage? Or would the government need to increase our taxes in order to pay for a single payer health system? And if they did, would that mean that both businesses and employees in effect pay the difference that they would otherwise earn in an increase in their taxes? Please feel free to explain how a single payer health system would work under those circumstances. Thank you.